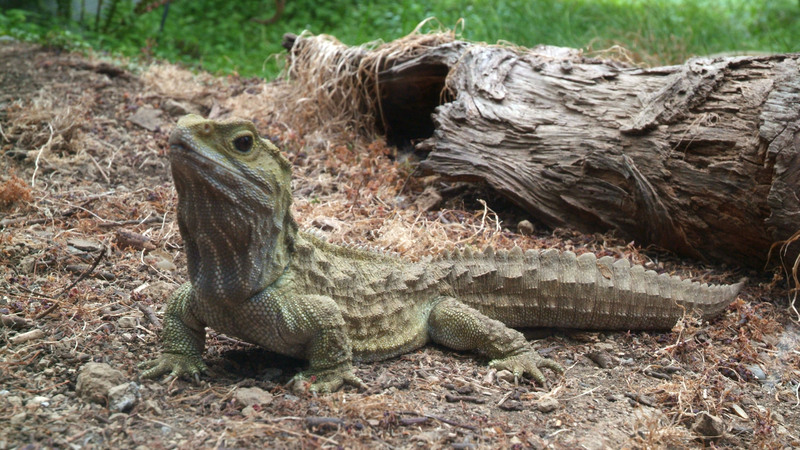 The tuatara (too-uh-tar’-uh) is a lizard-like reptile that is found only on a few islands near New Zealand. It is the only living member of an otherwise extinct reptilian order, Rhynchocephalia, that is said to have flourished in the Triassic and early Jurassic period. Their name means “spine-bearer” in the language of the original people of New Zealand, the Maori. Tuataras are among the most morphologically distinct creatures in the class Reptilia. They have been called “living fossils” since they appear nearly identical to specimens in the fossil record, like Clevosaurus (far right). Yet there are no tuatara specimens in more recent layers of the fossil record. 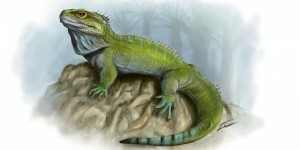 Tuataras grow to about 31 in in length and have scaly brown-green skin and a crest of dinosaur-like spines along their back. Some of them have been known to live for over 100 years! Tuataras are mostly nocturnal. Their diet consists largely of insects and the occasional small animal. They are anatomically different from lizards and easily distinguished by an extra arch in their skull. Evolutionists believe that these members of the order Rhynchocephalia evolved early in the Age of Reptiles, before the dinosaurs became plentiful. Could tuataras really have remained virtually unchanged for hundreds of millions of years while catastrophic environmental changes wiped out dinosaurs and while descendants of rodent-sized mammals slowly evolved into humans? A small population of such unaggressive animals might survive several thousand years with little or no change, but the idea that it could survive millions of years after all similar creatures had died out due to catastrophic climate change seems unreasonable.